Basics-Do you find Scrabble too easy? Do you want a party game that has the challenge of a word game and the fun of Cards against humanity? Then, try Wordariffic. This is an amazingly simple game that combines the two beautifully. Players start with 10 cards. Each of these cards have a letter in the corner and a list of 10 words. Then, one player will flip a card from the draw deck face up and roll a 10-sided die. 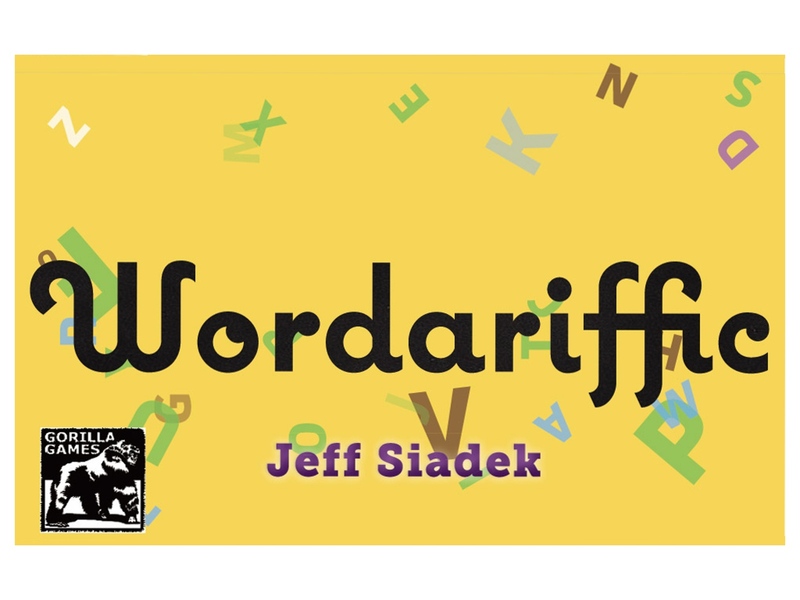 The flipped card’s word that the 10-sided die rolled is the word of the round. Next, players scramble to create a word that best describes the word of the round using the different cards from their hand of cards. When each player finishes, they yell “WORD!” to show they are done. Last player to do that is the judge for the round and is ineligible to win. A player can also simple opt out and just discard cards to get new cards instead of trying to win that round. The player with the longest word is awarded one chip, and the judge will award three chips to the best created word describing the round word. Players discard the cards they used for the round, draw back up to 10 cards, and play continues until the pile of chips rounds out. Player with the most chips wins!